This is the first Saturday I’ve actually remembered to do the Selfie Saturday thing. My Saturdays are usually the one day of the week I don’t plan to go out, so my pajamas stay on and I alternate between chores and entertainment (I’m just starting Ready Player One). Not exactly something I want to share in pictures. I’m feeling a little guilty, though, because last month I hardly blogged at all. Yes, I was working every available shift to make up for February’s tiny paychecks, but I’m sure a large part of that was my laziness about taking my pills. Folks, take your pills ffs! Since I wasn’t overloaded on thyroid hormones, I didn’t think I’d need the anxiety meds, so when I ran out, I didn’t get a refill. I didn’t think I was feeling particularly anxious. Actually, I was feeling the side effect of anxiety which is fatigue. When your body exists in perpetual state of tension, it can be exhausting. I just didn’t have it in me to be creative and productive after work. Again, take your pills! 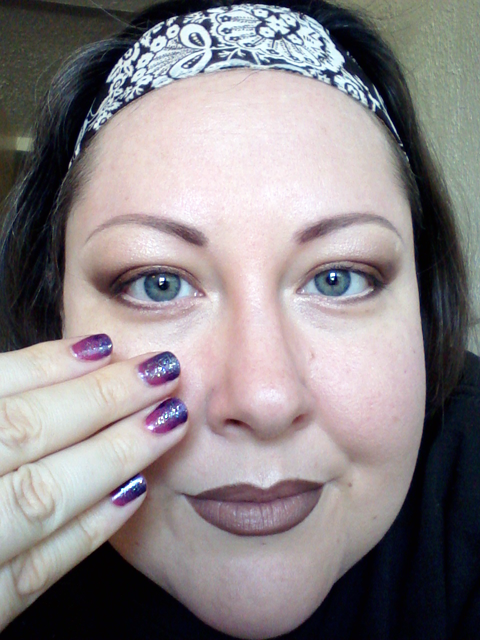 Using Borghese Eclissare Color Eclipse in Edge, MARSK Mineral Eyeshadow in Lucky Penny, pink and purple nail polish colors that I blended from stuff I wasn’t using with a top coat of Sinful Colors in Nail Junkie. 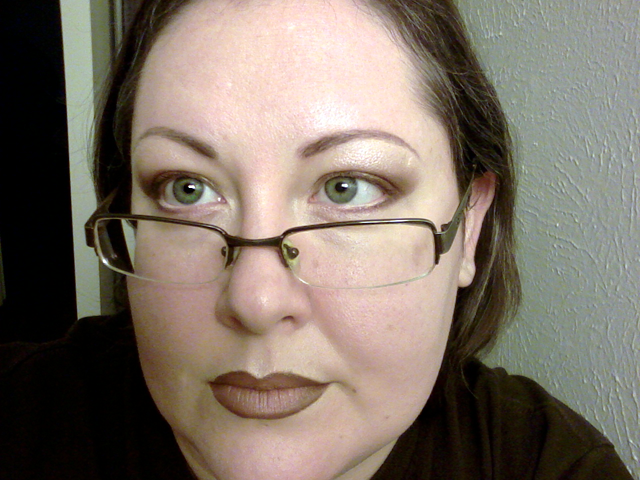 Also, I decided to give my glasses one last photo op before I get my new frames. They’ve served me well for almost 9 years (that’s way too long for glasses), so it’s time to wish them a happy retirement.